A talk from Harvard's Jeff Miron. What Should We Do Once the Recession is Over? Debate with Randall S. Kroszner, University of Chicago, and Robert J. Shiller, Yale University. Debate will be followed by comments by Benjamin M. Friedman, Harvard University; Robert C. Pozen, MFS Investment Management; Hal S. Scott, Harvard Law School; and George C. Kaufman, Loyola University Chicago. TWO OF Britain’s best known entrepreneurs are considering leaving Britain in protest against Alistair Darling’s new 50% tax rate, as leading figures from business and the City line up to warn of a talent exodus. Hugh Osmond, the pubs to insurance entrepreneur, is thinking about a move to Switzerland. Peter Hargreaves, the £10m-a-year co-founder of Hargreaves Lansdown, the financial adviser, is looking at the Isle of Man or Monaco. More are likely to be follow. I wonder: Do economists tend to migrate toward low-tax states? I have not noticed much evidence of it, but perhaps they should. For example, Massachusetts has a top income tax rate of 5.3 percent, while New Jersey has a top rate of 8.97 percent. That difference of 3.67 percent shrinks to about 2.4 percent after taking into account that state taxes are deductible at the federal level, but it is still not trivial. If Paul Krugman and Eric Maskin had stayed at MIT and Harvard, rather than moving to Princeton, they each would have enjoyed about $29,000 more after taxes from winning the Nobel prize. The Economix blog offers up a simulation that alleges to show a ride on a roller coaster "whose track charts the Dow Jones industrial average from October 2007 to March 2009." But that can't be right. Stock prices are approximately brownian motion, which means they are everywhere continuous but nowhere differentiable. In plainer English, "continuous" means that stock prices an instant from now, or an instant ago, are close to where they are now. But "not differentiable" means that the direction they move over the next instant is not necessarily close to the the direction they were heading over the last instant. A roller coaster with that property would be quite a ride. As seen by economists Larry Kotlikoff and Ed Leamer. Their suggestions remind me of narrow banking proposals. For the second time in a week, the Obama administration has discarded a major campaign pledge on international economic policy. In its decision last week not to name China a currency manipulator, and now to forswear renegotiation of NAFTA, the administration avoided two potentially costly mistakes. I am delighted. My biggest fear about international economic policy was that the President might actually follow through on his campaign rhetoric. So this news is a great relief. Federal outlays and revenues as a percentage of GDP. President Obama plans to convene his Cabinet for the first time today, and he will order its members to identify a combined $100 million in budget cuts over the next 90 days, according to a senior administration official....Earlier this month, both chambers of Congress passed Obama's $3.5 trillion budget outline for 2010, which includes unprecedented new investments in health care, education and energy. But the huge budget, which contemplates a $1.2 trillion deficit, has drawn the ire of small-government conservatives, who say that such high deficits jeopardize the nation's economic future. On Monday, Douglas Elmendorf, the director of the Congressional Budget Office, will give a guest lecture in ec 1o on (no surprise) the U.S. government budget and fiscal policy. The lecture takes place at noon in Sanders Theater in Memorial Hall. All members of the Harvard community are welcome. If you are not affiliated with Harvard but are a blog reader who wants to attend, please send me an email request. We can accommodate a limited number of guests. If you (like me) teach introductory economics, or are expecting to do so soon, you might be interested in attending this economics conference. It is a one-day meeting I am running at Harvard on Friday, May 8, with the generous support of my publisher (Southwestern, a part of Cengage Learning). The conference will include some sessions on economics pedagogy from star teachers. It will also include some sessions on recent developments in the economy, including talks from Phill Swagel (who until recently was Assistant Secretary of Treasury for Economic Policy) and Jeff Fuhrer (Executive Vice President and Director of Research of the Boston Federal Reserve). After lunch, participants will have the option to tour Harvard, and the day will end with a party at my home. Interested? Click through the above link to learn more. (Please note that space is limited. 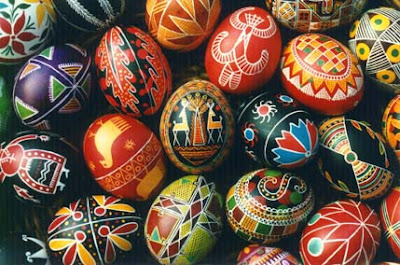 We may not be able to accommodate everyone who expresses interest, and for that, I apologize in advance.) If you have any questions, feel free to contact Brian Joyner at Brian.Joyner@cengage.com. A revenue-neutral carbon tax could set up a bi-partisan triple play of this American century. We can clean up the air, create jobs, and enhance our national security. My Raise Wages, Cut Carbon Act of 2009 cuts payroll taxes and, in equal amount, imposes a tax on carbon dioxide emissions. The tax is border adjustable and is designed to be WTO compliant. We're conducting a "Virtual Hearing" on the Raise Wages, Cut Carbon Act of 2009 in the hopes of improving the bill before I actually file it. I've kicked off the "hearing" with an opening statement, which you can find here, along with a copy of the bill, a summary, and various white papers addressing different portions of the bill. I'd love for you to look over these materials, and then tell me what you think by posting a YouTube response to my opening statement. You can do that here. Thank you, and I look forward to benefitting from your expertise and insights! Salon identifies the 14 most strident critics of President Obama's stewardship of the economy. No, says Harvard's Jeff Miron and (former Harvard student) Elina Tetelbaumn. From MIT World. Thanks to Arnold Kling for the pointer. Come hear a distinguished panel of experts evaluate the Obama Administration's conduct in three key areas: the economy, foreign policy, and health care.The event will take place Sunday, April 19th at 7:30 p.m. in Hassenfeld Conference Center. Dr. Greg MANKIW, professor of economics at Harvard and former Chairman of President George W. Bush's Council of Economic Advisers, will weigh in on the economy while former Ambassador and current professor international relations at BU Charles DUNBAR will discuss the Administration's foreign policy conduct. Dr. Stuart ALTMAN, former Dean of the Heller School at Brandeis and former Deputy Assistant Secretary for Health Policy, will comment on health care legislation, including the prospects and substance of a viable reform bill. Additionally, Dr. Peniel Joseph, professor of African and Afro-American Studies at Brandeis and a commentator on PBS, will moderate the event and provide historical background on the concept of a president's "100 Day's." Refreshments will be served. Bob and Susan are not worried about inflation. Found an article about you and John Maynard Keynes in the centerfold of the Barbados Advocate Business Monday. 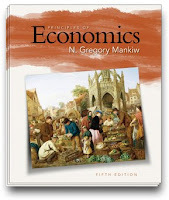 It also mentions the use of your Macro-Economics text for First year economics at our U.W.I. Cave Hill Campus. If you've not yet had the chance you should come visit sometime. Yes, indeed! I wish all the talks I gave were in venues as enticing as Barbados. I have decided to deactivate my Facebook account. * For the past couple years, I have used the account for the sole purpose of accumulating "friends." Now, Facebook tells me that I have reached my upper limit! So there is little point in keeping the account. Going forward, if you want to be my friend, you will have to come to Harvard Square and meet me face to face. *As soon as I can figure out how. Right now, Facebook gives me an error message every time I try to deactivate. There appears to be no escape. Thanks to Professor David Cushman of Westminster College for sending this along. Existing law provides that no pupil shall receive a diploma of graduation from high school who, while in grades 9 to 12, inclusive, has not completed a one-semester course in economics. This bill would require 1/2 of that course to focus on personal finance and financial literacy. I am a high school economics teacher, and a board member of the non-profit CCEE (California Council on Economic Education) whose mission it is to support economic education at all levels throughout our state. As you might expect, we (CCEE) are against this legislation. Whereas personal finance is one important application of the core economic principles, it should not replace economic curriculum -- which is what this legislation would result in. We believe that students' understanding of cost/benefit analysis, opportunity cost, how markets works, etc., is more important for the high school class (i.e. it should be the core concepts of an introductory college econ class). I agree with this teacher that this law would be a step in the wrong direction. The legislation is akin to requiring high school biology teachers to spend half their class time on issues of personal health and nutrition. Personal finance is a useful life skill, but students need a more thorough grounding in other basic economic principles than what can be learned in the other half of a single semester course. They need a framework to think about such as topics as market outcomes, price controls, taxes, international trade, environmental regulation, monetary and fiscal policy, and so on. The goal of high school economics should be to produce not just smarter decision makers at a personal level but better informed voters on election day. The Office of Undergraduate Admissions reported a 4 percent drop in applications this year....a 13-percent drop in applicants who did not apply for financial aid. From GMU economist Peter Leeson. Keith Hennessey counts the uninsured. Today I am attending the NBER Macro Annual Conference. A couple months ago UPenn economist Jeremy Siegel penned a Wall Street Journal op-ed on stock market valuation and problems in the standardly computed price-earnings ratio. When I first read it, I did not find the arguments were very persuasive. Now, in a new op-ed at Yahoo, Jeremy responds to his critics. This time he comes closer to convincing me that he is on to something. The argument from Bob Shiller, cited by Jeremy in the second article, about stock shares as options makes sense. If you are interested in the issue of stock valuation, click through to the two op-eds and read them in order. Thanks for this, it's the clearest exposition I've seen. It's my problem, not yours, but I'm still confused about NK models, despite bothering Gertler and Gali regularly with questions. The main issue is supply. Wouldn't most things that shift DAS also shift the long-run value Ybar? One way to put this is the contrast between your Figs 14-5 and 14-6. Why wouldn't an increase in (imported) oil prices work like a drop in TFP? Isn't that the mistake the Fed made in the1970s, trying to resist a shift left in Ybar? Or think of Greenspan's question in the late 1990s about whether the increase in output was also an increase in Ybar-- probably not, looking back, but it was a good question. I may have missed something obvious, but despite your usually lucid exposition, it's not clear why v might shift DAS but not affect Ybar. Is this totally clueless? Dave raises a question that I, along with much of the new Keynesian literature, have struggled with in recent years: What is the distinction between a shock to potential output (aka the natural level of output) and a shock to the Phillips curve? Under some sets of assumptions, there is no such distinction. In this case, the Phillips curve equation relates inflation to expected inflation and the output gap (the deviation of output from potential) without any error term. Monetary policy is particularly easy in this situation. 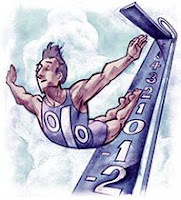 Stabilizing inflation will also stabilize output at its natural level. The central bank does not face any tradeoff between stability in inflation and stability in the output gap. Olivier Blanchard and Jordi Gali have called this situation the "divine coincidence." Many economists, including Blanchard and Gali, doubt that this simple case describes the world. So what is one to do? It is common to tack an additional shock onto the Phillips curve equation, which automatically makes the divine coincidence disappear. But one might wonder where, at a deeper microeconomic level, this shock comes from. Some new Keynesian modelers build in this shock as a "markup shock." That is, with monopolistic competition, price is a markup over marginal cost. Rather than assuming this markup is constant, it could be time-varying. (Formally, you could have a stochastic elasticity of substitution among the various goods.) In this case, the natural level of output could be defined as the level of output when the markup is at its average level; it would be influenced by productivity, for example, but not the current markup. Inflation would be a function of expected inflation, the output gap, and the markup shock. In this case, because of the markup shock, the central bank faces a tradeoff between stabilizing inflation and stabilizing output at its natural (and welfare-appropriate) level, which does not change in response to the markup. Examples of papers incorporating stochastic markups include Steinsson and my article with Ball and Reis, although there are many others as well. You might wonder whether the idea of a markup shock makes sense empirically. The fact that OPEC was an oil cartel exercising monopoly power with varying degrees of success is perhaps a good example of time-varying markups. But I would not push this argument too hard. I suspect that the real answer is that these markup shocks are proxying for something funny going on within the price-adjustment process. I have a couple of things in mind. Blanchard and Gali have tried to build in real wage rigidities and get a kind of endogenous markup shock from that feature of wage adjustment. Alternatively, some years ago Larry Ball and I suggested that shocks to the Phillips curve might result from the interaction between the distribution of relative-price shocks and the price adjustment decision in a menu-cost environment. The result is a kind of transistory markup shock. The bottom line: Great question. The literature is only beginning to figure out what the answer might be. Thumbs up from MIT's Ricardo Caballero. Thumbs down from Columbia's Jeff Sachs. Larry was president of Harvard until June 2006. Is it really possible that Larry did consulting work for a hedge fund during his famously controversial stint as head of Harvard? Or did the NY Times get the facts wrong? Update: A reader more knowledgeable about the lives of university presidents than I am suggests to me that university presidents often sit on corporate boards and that consulting is no different. Perhaps so, but I am mildly surprised. Given the vast complexity of modern universities like Harvard, I would have expected (and I think I would have preferred) to pay the heads of these institutions enough so that they could focus all of their attention on university issues. I was reading an article about Bach's Mass in B Minor and came across this sentence. You can imagine what the previous sentences were like if this is the "In other words" sentence. "In other words, the work is among those that most openly manifest, in its almost exaggerated monumentality (certainly inappropriate for liturgical use) and its unfathomable many-sidedness, the concord of ideas, the harmony of gestures and the rational pact of alliance that composes every internal contradiction, every external dissension." As seen by Harvard economist Ed Glaeser. 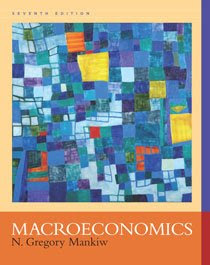 If you teach macroeconomics and would like to consider the 7th edition for your course, please contact Scott Guile at sguile@whfreeman.com. When world leaders meet, the result is usually a lot of cheap talk. But Keith Hennessey does a nice job demonstrating how the cheap talk has changed with the switch in administration. Be sure to click through the link and read what Keith has to say. Substantively, the change in language is no big deal, but it demonstrates the difference in mind-set between Team Bush and Team Obama. As seen by Simon Johnson and James Kwak. Tyler says, rightly, that creditors aren't suffering enough. Richard Posner reviews the new book by George Akerlof and Bob Shiller. I will be talking today at the Harvard Pre-Collegiate Economics Challenge. "In addition to his $5.2 million in salary and other compensation from D.E. Shaw, [he] received $586,996 in salary from Harvard University." The CBO baseline cumulative deficit for the Obama 2010-2019 budget is $9.3 trillion. How much additional deficit and debt does Mr. Obama add relative to a do-nothing budget with none of his programs? Mr. Obama's "debt difference" is $4.829 trillion -- i.e., his tax and spending proposals add $4.829 trillion to the CBO do-nothing baseline deficit. The Obama budget also adds $177 billion to the fiscal year 2009 budget. To this must be added the $195 billion of 2009 legislated add-ons (e.g., the stimulus bill) since Mr. Obama's election that were already incorporated in the CBO baseline and the corresponding $1.267 trillion in add-ons for 2010-2019. This brings Mr. Obama's total additional debt to $6.5 trillion, not his claimed $2 trillion reduction. That was mostly a phantom cut from an imagined 10-year continuation of peak Iraq war spending. The claim to reduce the deficit by half compares this year's immense (mostly inherited) deficit to the projected fiscal year 2013 deficit, the last of his current term. While it is technically correct that the deficit would be less than half this year's engorged level, a do-nothing budget would reduce it by 84%. Compared to do-nothing, Mr. Obama's deficit is more than two and a half times larger in fiscal year 2013. Just his addition to the budget deficit, $459 billion, is bigger than any deficit in the nation's history. And the 2013 deficit is supposed to be after several years of economic recovery, funds are being returned from the financial bailouts, and we are out of Iraq. A recent report from the International Shark Attack File at the University of Florida cited the recession as the reason for a decline in shark attacks last year. “Shark attacks worldwide in 2008 dipped to their lowest level in five years, a sign that Americans may be forgoing vacation trips to the beach,” the report said. I will be at a Brookings conference over the next two days, watching the presentation of six excellent papers. 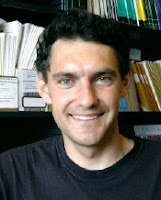 Check out in particular the paper by Phill Swagel. It gives an insider's view of the recent debates over financial policy. i'm an italian student, i'm studying law in the university of turin and right now i'm reading your book for an exam of political economy.. and i wanted to thank you because even if my professor almost made me dislike this subject..reading "principles of economics" i'm understanding and loving it.. every page i'm more enthusiastic! Econ profs: I am sure none of your students feel this way about your lectures. But, even so, if you aren't using my, and this student's, favorite textbook, maybe it is time for a change. You can get information about the book by clicking here or by emailing Brian.Joyner@cengage.com. Joe says no go: "the Geithner plan works only if and when the taxpayer loses big time." They were announced earlier today (April 1). An idea from Oliver Hart and Luigi Zingales.